Strange. When I made the image, the graphics were alright, now why are them like this? I really like the Kabal Sprite. If you got the lifebars and everything, it would have looked even better. 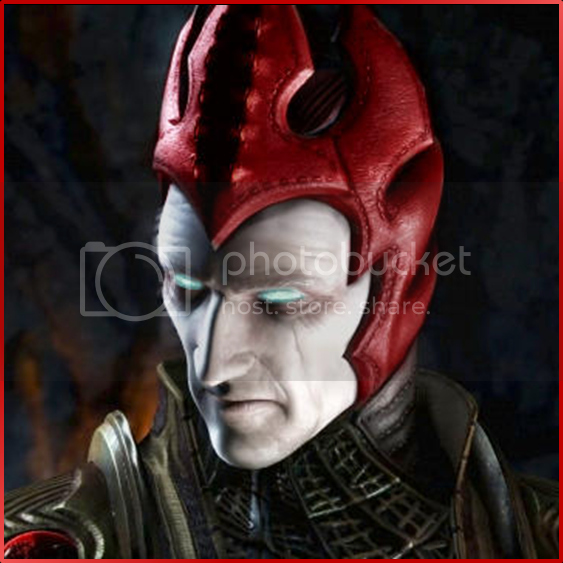 <div class="forumQuote"><b>Shinnok619 Wrote:</b><br/>Strange. When I made the image, the graphics were alright, now why are them like this? <br/><br/></div> <br/> <br/>Here's the problem: <br/> <br/><div class="forumQuote"><b>Filename:</b><br/>.../5393.<b>jpg</b><br/></div> <br/> <br/>If you must save as a JPEG, it would be a good idea to make sure your compression for the file (usually in the file save options) is the lowest possible to ensure the file is saved at it's best quality, within the limitations of the file type of course. If you must save as a JPEG, it would be a good idea to make sure your compression for the file (usually in the file save options) is the lowest possible to ensure the file is saved at it's best quality, within the limitations of the file type of course. <div class="forumQuote"><b>MKRocket Wrote:</b><br/><div class="forumQuote"><b>Shinnok619 Wrote:</b><br/>Strange. When I made the image, the graphics were alright, now why are them like this? <br/><br/><br/></div> <br/><br/> <br/><br/>Here's the problem: <br/><br/> <br/><br/><div class="forumQuote"><b>Filename:</b><br/>.../5393.<b>jpg</b><br/></div> <br/><br/> <br/><br/>If you must save as a JPEG, it would be a good idea to make sure your compression for the file (usually in the file save options) is the lowest possible to ensure the file is saved at it's best quality, within the limitations of the file type of course. </div> <br/> <br/>Ooohh, thanks MKR. I see way too much Stryker in the Kabal sprite, though I know that's kind of what you were going for. If I were you I also would have edited the Baraka sprite. <br/> <br/>I like the fonts. The background might be a bit too dark. <br/> <br/>I don't really have much else to say; It's nice to see fakes popping up every once in a while. I miss the days when they were more common. I see way too much Stryker in the Kabal sprite, though I know that's kind of what you were going for. If I were you I also would have edited the Baraka sprite. I like the fonts. The background might be a bit too dark. I don't really have much else to say; It's nice to see fakes popping up every once in a while. I miss the days when they were more common. I wonder what guys like Tetra_Vega, Bleed, Arctic, K1LLKANO are up to these days...they are sort of my inspiration to make these. This looks really great. <br/> <br/>You should do one for Jade's "Half Mast" fatality <br/> <br/>or Sektor's "Scarecrow"
Maybe someday, but I'm now focused on my Klay series.